That was how Joanna Lumley felt when she was asked to host this month’s BAFTA awards at the Royal Albert Hall. Why? Because, as she explained, Joanna is simply a fabulous film fan! Joanna has replaced Stephen Fry as host of the British night of the movie stars, but she’s attended many times as a member of the audience. “The BAFTAs are almost on a par with the Oscars,” she said. “Stephen has done such a good job in hosting the big night for the last decade or so and it is quite a big step to take over. “I cannot express how exciting it is. He is a hard act to follow, but I’ll do it my own way and hope it works. “Audiences are usually supportive on nights like this and you really feel them cheering you on. 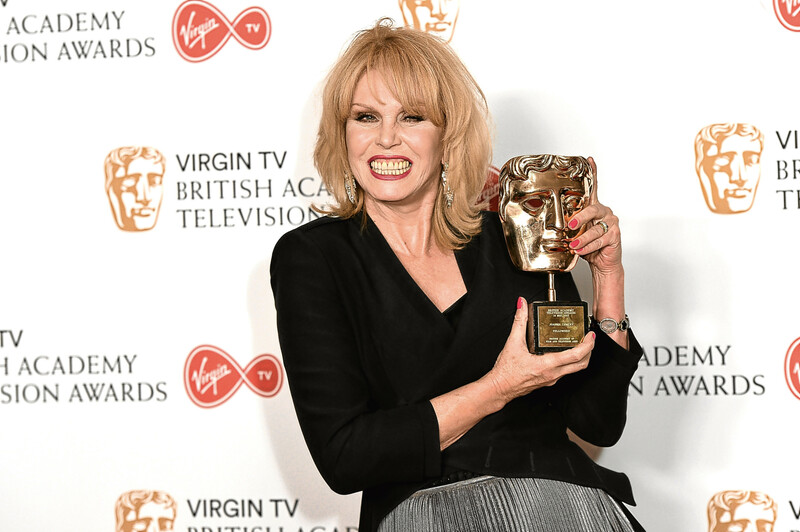 Joanna is no stranger to the BAFTAs, having picked up a couple of TV awards herself for her role as Patsy Stone, the beehive-wearing, chain-smoking, self-centred alcoholic of Absolutely Fabulous fame, and the BAFTA Fellowship award last year. Joanna did not come from a theatrical background, born in 1946 in Kashmir to a Major in the Ghurka Rifles and his wife. “When I was about eight, we returned to England and lived in Kent,” she said. “I went to a boarding school — Mickledean, and later I went to a convent school in St Leonards then the Lucie Clayton finishing school. “It all sounds rather grand but, in truth, I was hoping to go to RADA, but I was turned down when I was 16. “I didn’t give up, though — I knew I wanted to be an actress and I was determined to give it my best shot. Some early photo modelling led to appearing in an advert or two and then a few very small parts in TV shows. It was a start. It was not long before she played Elaine Perkins, one of Ken Barlow’s girlfriends in Coronation Street. “It is wonderful to have been a part of Coronation Street, even for just a short time,” she said. Of course, the roles got bigger and better, and not just on TV. Joanna’s stage work took off, and so did her film career. 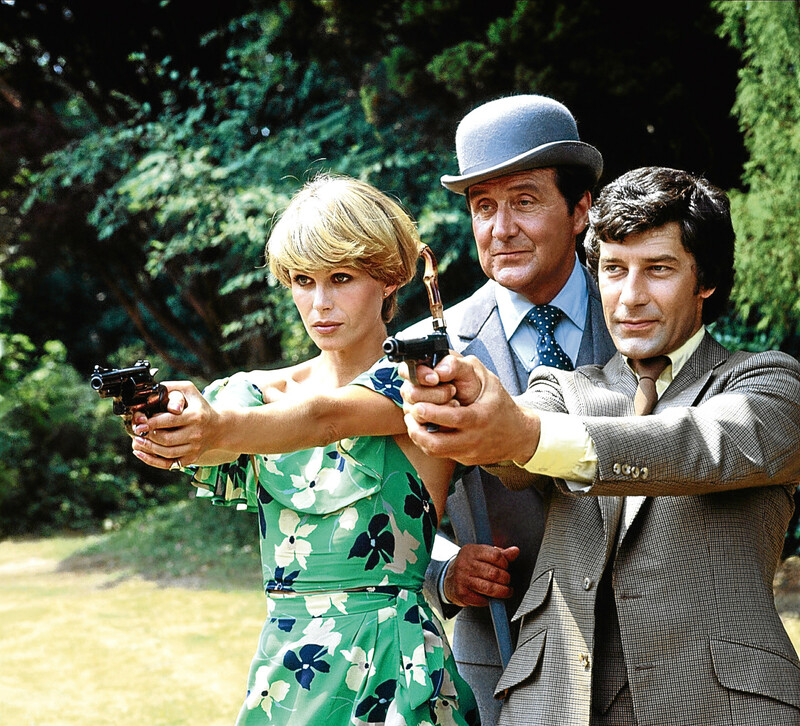 When she landed the part of Purdey in the massively-popular TV show The New Avengers, she suddenly became a major star. “I was 30 when Purdey came along,” she said. “All sorts of doors opened for theatre, film and more TV. It was odd to find myself as a household name and even more odd to hear women were going to their hairdressers holding a photo of me and saying they wanted a Purdey hairstyle. 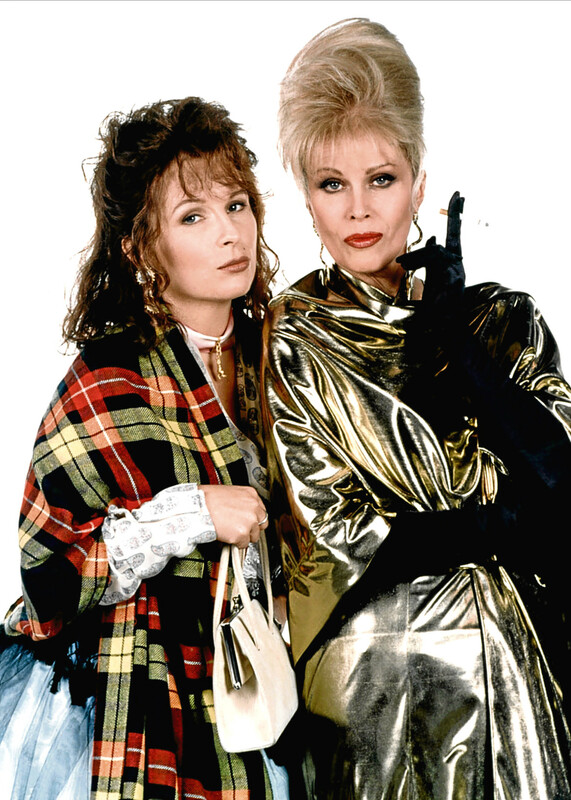 Whatever it was it led to so many more triumphs and much-loved characters including, of course, Patsy Stone. “Funnily enough, I have not heard of ladies going to their hairdressers asking for a Patsy hairstyle,” laughed Joanna. Perhaps her allegiance to Britain actually made life more difficult for Joanna. Had she gone to America, her obvious looks and Englishness could have made her a big star much quicker. “It is true that America wears its heart on its sleeve and welcomes beauty while in this country we seem to be a bit scared of it,” she said. “Having said that I have never considered myself to be beautiful at all. I have what I call a useful face, the sort of face that can be put to work. “It is like my hair. I have never had particularly nice hair, but it is useful because it will take any amount of colouring and can be put up or down without protesting too much. “So, no, I’ve never seen myself as anything other than useful and as an adaptable character actress rather than a big star. “I prefer that because as a character actress, you can do so many different things and for longer. As well as her acting career, Joanna has championed many causes from the legendary Ghurkas to animal abuse, and she’s sincere about each and every charity she has supported. “Sometimes, people suggest that those of us who support certain things are just in it for the publicity,” she said. “The truth is, though, like most people in my profession, I’m approached because of my links with TV and the media and we can give a voice that they might struggle to have themselves. “I like to think that is a good thing. I know some people knock it, but I’ve become used to that as I started doing it when I was 19, for children’s charities. Joanna has many more projects in the pipeline, including films as well as television. “There’s always something going on — whether it’s a guest appearance in something or a voice acting part — I quite like those,” she said. “Apparently, I have good diction and an easily recognised voice that people like. I hope so, I really hope so. “I like to be busy, but I try not to let myself get stressed over anything. “I have a very happy marriage and home life and I hope to go on for a long time yet. I have had my ups and downs, some great times and some not so great times.